While I am primarily studying Civil and Environmental Engineering, a great deal of my interest lies within the humanitarian side of the industry. I find myself constantly attracted to anything in terms of maintaining sustainability – from individual/personal lifestyle sustainability to large scale, nation-wide sustainability. When I saw the course description for ‘Environmental Studies 490′ with the USC Wrigley Institute, I was immediately drawn in by the idea of working towards sustainable solutions. I was pretty much sold from first glance, and the added factor of spending Spring Break on Catalina Island was obviously a huge plus. The main sustainability factors that we were targeting this semester were waste, water, and energy. I chose to focus on the water crisis, where the goal was to obtain as much freshwater as possible from various mechanisms. The freshwater was to help offset the water used by the facility’s aquaponics system, tree irrigation, and the greenhouse cooling system. 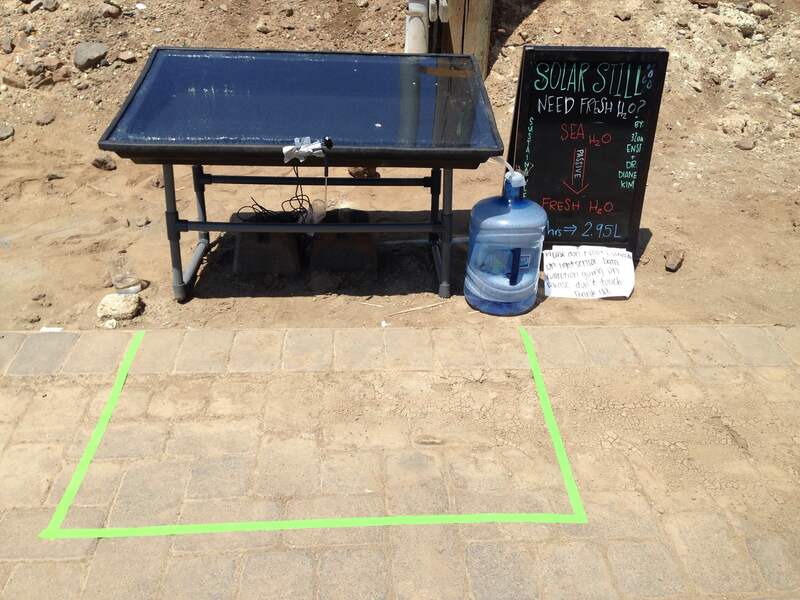 To approach this problem, I designed and built a hybrid solar still, a solar energy-generated water desalination unit with complementing features. At its most basic, you put saline water into the still system, let the system heat up and generate steam, and then collect the fresh water steam as it condenses on a glass cover. 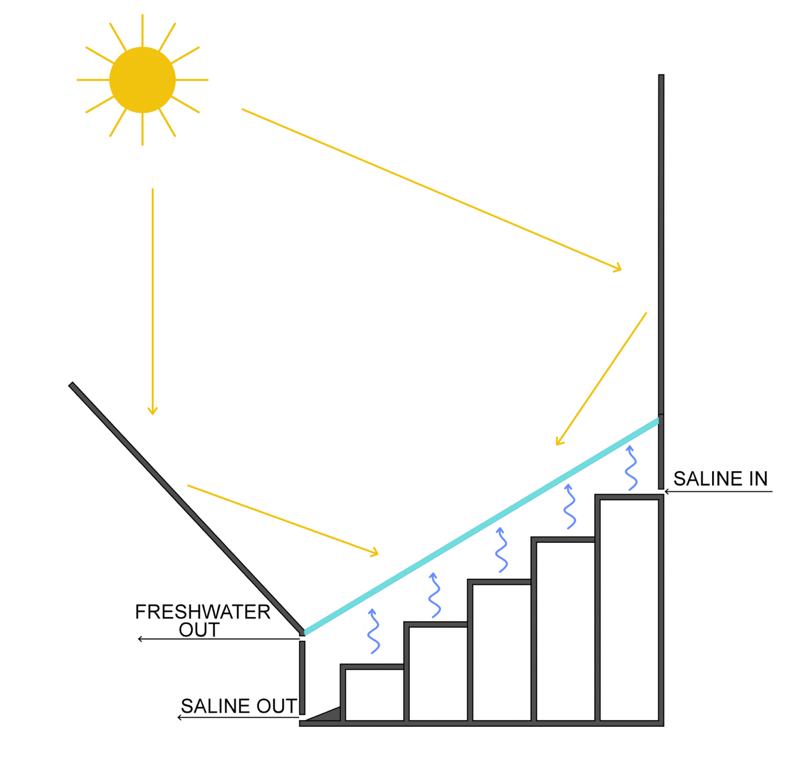 For my design, I decided to implement various factors that would increase the freshwater yield. 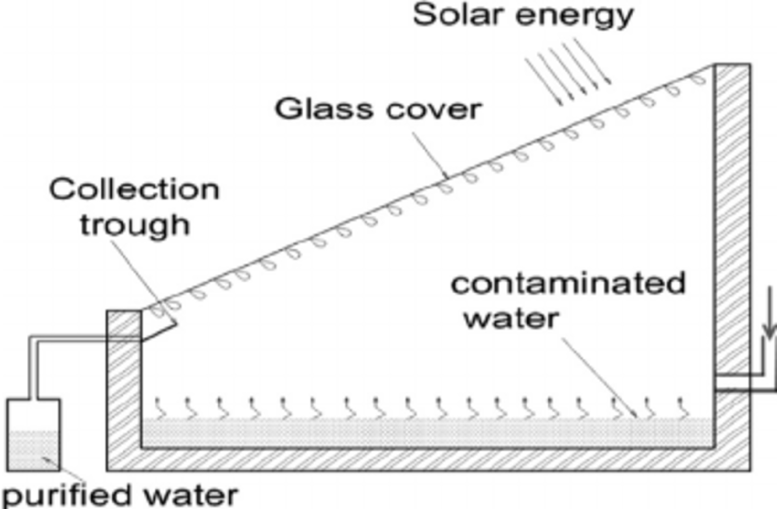 I added a stepped base to decrease the distance the evaporate would travel to be collected on the glass, internal and external reflectors to increase the number of sun rays exposed to the seawater, and implemented a flow through system to increase the temperature and amount of work on the water. Each of these factors contributed to the hybrid design to increase the freshwater yield. This system was also totally off the power grid – the seawater pump was powered by a solar generator. Implementing this project had numerous benefits. Not only was this an impeccable learning experience for myself, it also continued the USC Wrigley Institute’s movements to combat the drought and produced an educational tool to be talked about and improved on for years to come. This system gives educators the opportunity to continue developing ways of producing freshwater from seawater with little to no “dirty” energy. Once built, this system was self-sufficient – using only energy from the sun. This project has expanded my knowledge of sustainable practices, connected me with many like-minded individuals and groups, enhanced my project communication skills, improved my ability to improvise with the resources available, and lastly allowed me to experience and become acquainted with an island abundant in opportunities for both recreation and education. Kelly is majoring in civil (environmental) engineering with USC’s Viterbi School of Engineering, Class of 2018. This entry was posted in Undergraduate, Wrigley Institute on May 26, 2017 by Jessica Dutton.